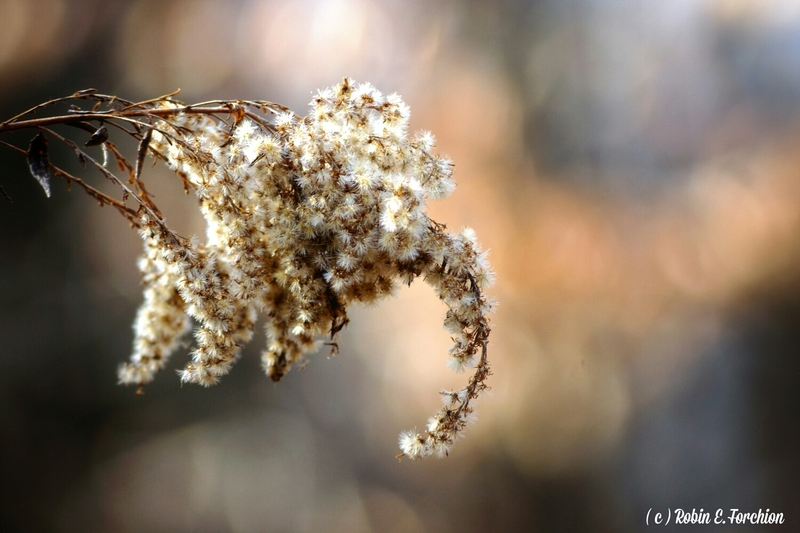 The “seed pods” that I recently posted are not seed pods after all. I posted the photo on Instagram and asked if anyone knew what it was and the answered was revealed. Cedar-apple rust fungus or the technical term Gymnosporangiu, jumiperi-virginiana. It takes approximately 2 years to get to this point. I have seen these before, without all the orange things hanging down, and assumed it was a seed pod. Be prepared to look down from time to time as you may be pleasantly surprised by what you see. About 2 weeks ago my grandson and I went for our second adventure in the woods (picks come soon). 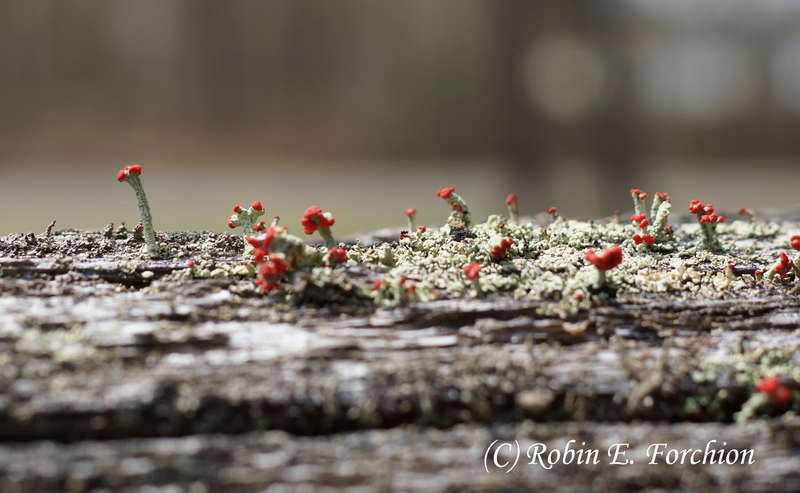 On our walk I came across this fungus growing on some trees. I think the first one looks like steps. To take part in the challenge you are to post one nature photo per day for seven days and nominate a new member. I do realize that everyone does not like to participate in these types of challenges so if you are nominated please do not feel obligated to participate. My 3rd nomination is Julie over at Julie Powell – Photographer and Graphic Artist. Julie offers a wide range of photos she adds a bit of her awesome graphic art skills to some. Thanks for visiting and make sure you visit Julie! 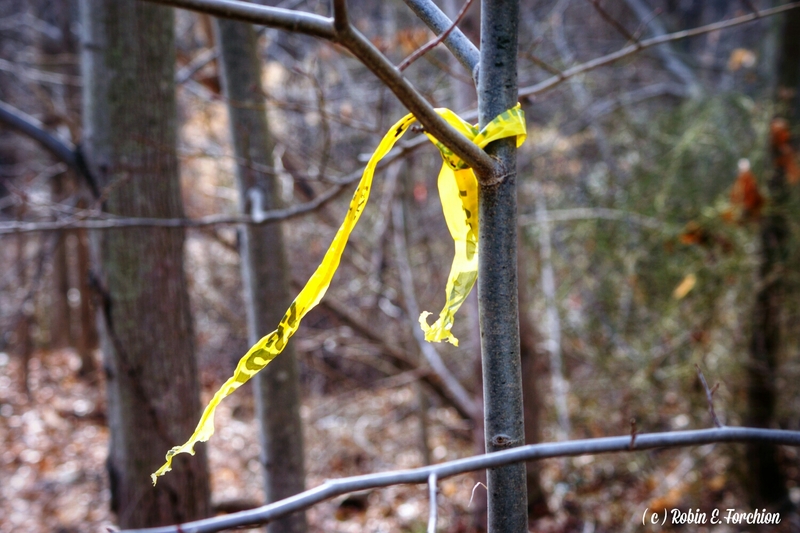 Today for my first Side Street Sunday post I present to you a leaf, a fungus, a weed, and a piece of caution tape. These items caught my eye as I walked round the lake looking for something different to photograph. To see images from my prior visit just click here. 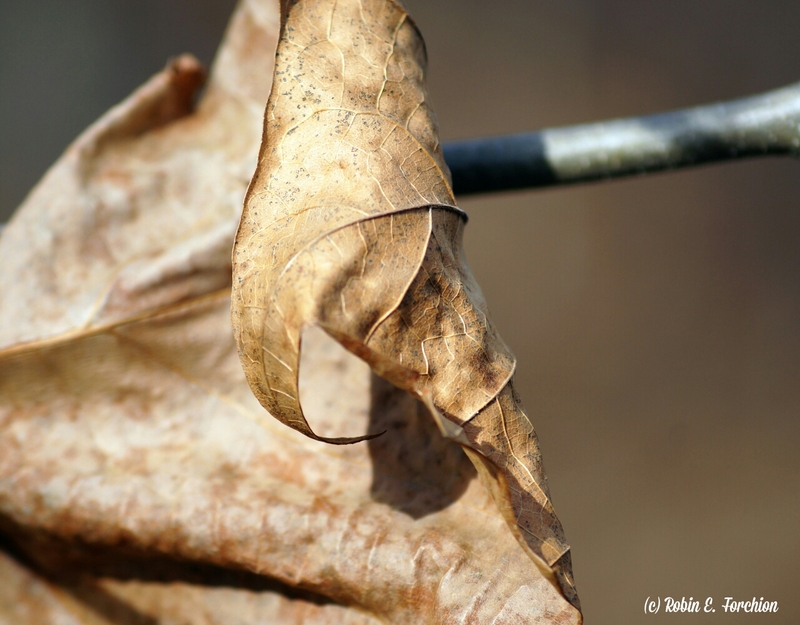 I liked the curl and shadow on this dried up leaf. 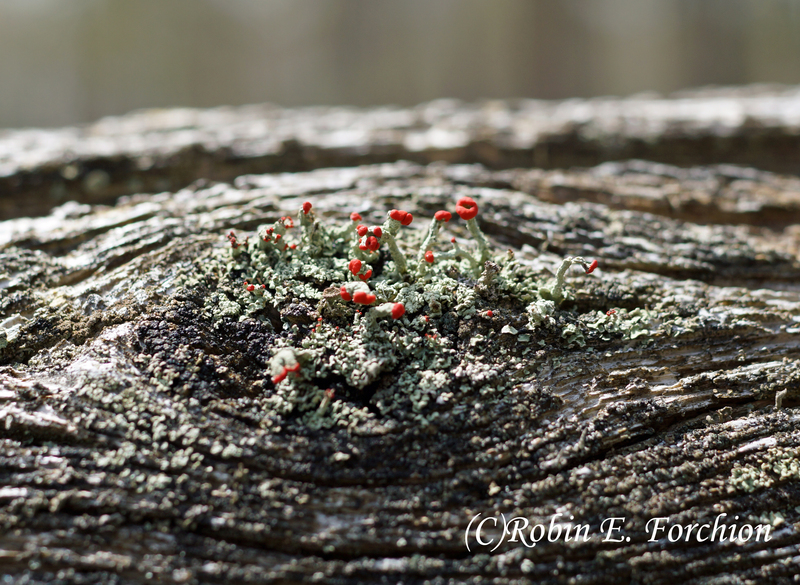 This fungus caught my eye because it decided to grow around the vine. I just liked the puffiness of this weed. Hopefully nothing serious happened here. 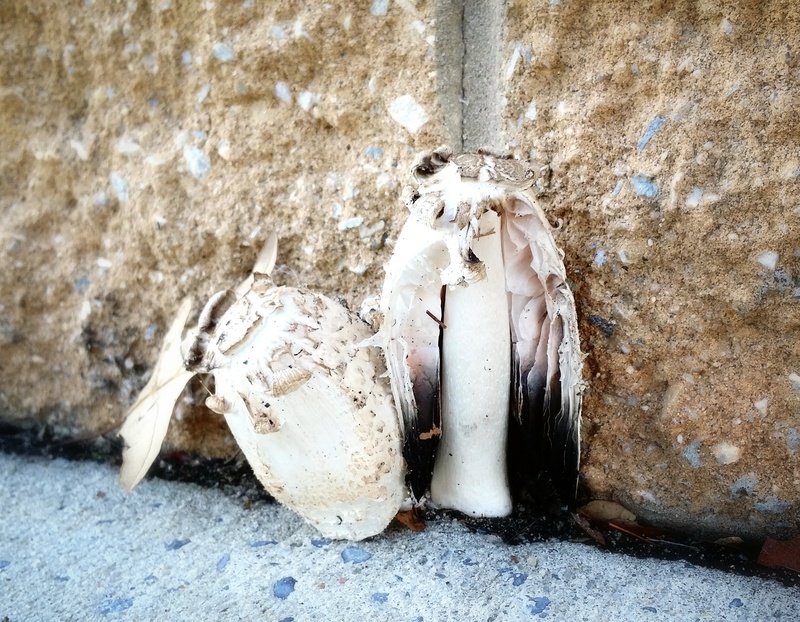 Saw these mushrooms growing in the cracks between a wall and sidewalk. At a quick glance this mushroom looks like a fallen Angel. The bottom of the “wings” are black as if they were dragged. Thanks for visiting and as always comments are welcome! 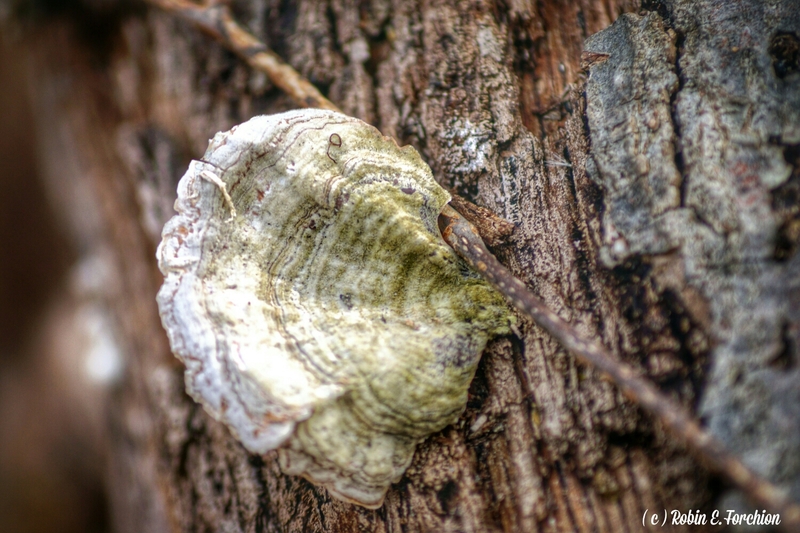 I went to New Brooklyn Lake Park to take some pictures and experiment with Macro. 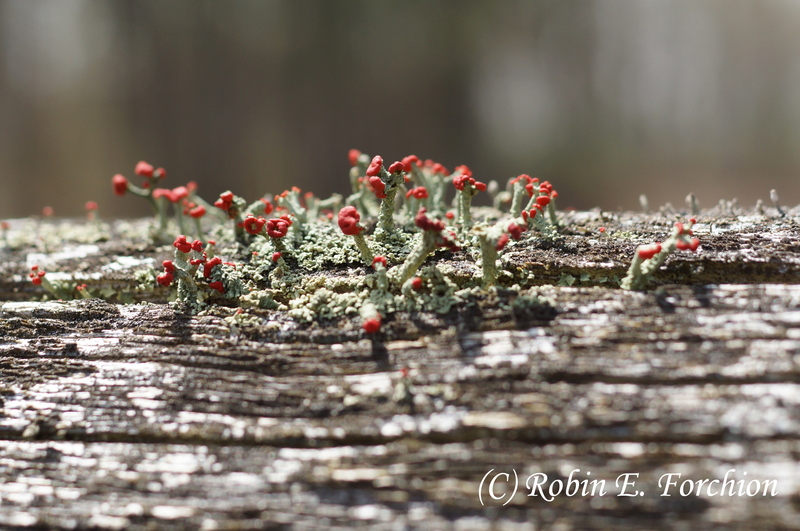 While taking pics of the fence I noticed this fungus growing on the pole. When you look at it closely it looks like it has a mouth and it is wide open waiting for something to enter.